The footage of the trapeze act featured in the film (complete with inter-cuts of audience reaction) is identical to that in John Moxey's Circus of Fear (1966). Roll up! Roll up! Roll up for the greatest show on Earth! It's 1947. England. Witness as naughty old plastic surgeon Dr. Rossiter (Anton Diffring) changes his identity to hide from the police following a bodged, illegal operation he has performed! Gasp as he starts a new life in France under the name of Dr Bernard Shuler with his too-keen-to-please assistants (Griffith and Hylton). 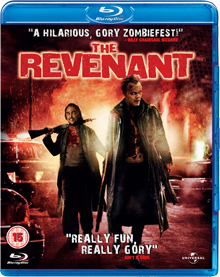 And scream as he takes ownership of a failing circus after watching its previous owner Vanet (Donald Pleasance) be mauled by his own bear! Using the circus as a means to continue his plastic surgery he takes criminals (deformed or otherwise) under his wing, altering their visage and turning them into circus performers. However whenever one of them threatens to leave, Shuler / Rossiter arranges for them to die via an arranged 'accident' which brings the circus to the attention of a reporter and Scotland Yard. With Hammer enjoying some success by upping the gore and sexual content in their movies, other film companies were keen to eat into that box office pie. 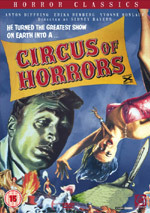 Director Sidney Hayers' Circus of Horrors was one such product. 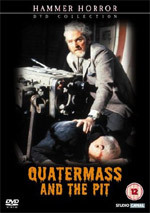 Indeed so extreme was the content considered at its time of release that the movie was one of three British horror movies produced by Anglo-Amalgamated that was dubbed by film critic David Pirie as the ‘Sadian Trilogy’ (the other two movies are Peeping Tom and Horrors of the Black Museum - both 1959). The content may have been taboo at the time but its all old hat now, although none-the-less entertaining for it. Circus of Horrors moves at a nice pace and proves a lot more fun than Hayers' rather overwrought Night of the Eagle. There is much fun to be had with some of the more dated aspects of it such as the dancing bear that ends up killing Donald Pleasance’s character Vanet. It is so obviously someone wearing an ill-fitting costume, when it is not an inanimate prop, that any possible gasp of shock that the scene may have intended to illicit gets lost under a barrage of sniggers. Even worse than the dancing bear is the ape thing we see permanently angry in its cage. It is wisely shown in brief shots or in shadow, but warrants a chuckle nonetheless. Anton Diffring (The Man Who Could Cheat Death) anchors the picture, making for a satisfying lead / villain. 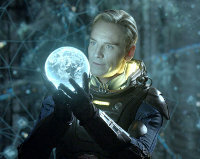 He brings to mind the actor Paul Freeman, best known for his role as Belloq in the first Indiana Jones movie. He is well supported by Kenneth Griffith and Jan Hylton as brother and sister Martin and Angela. The characters in the movie are better defined than normal, although Yvonne Monlaur (Brides of Dracula) seems a little old to be playing the naive teenage Yvette Vanet. Circus of Horrors plays the odd surprise such as showing a knife in a girl's neck, which naturally would have been seen as more explicit or shocking on its original release, but still pleases now. There are also effective circus audience shots and trapeze performances to weigh up the absurdness of the basic plot. There is some fun to be had from seeing people tell Rossiter that they will leave after their next performance when they know from past experience that anyone that tries to leave ends up dead during their last performance. Wouldn’t you just keep quiet and sneak off into the night rather than announce how dumb you are before being killed off? Also how Rossiter thinks he will not be recognised when his circus returns to London ten years later, regardless of whether people believe he is dead or not, also begs belief, with or without the earlier beard and moustache. The song used throughout called 'Look for a Star' is ok to begin with but begins to grate the more it is heard and it gets heard a lot. Funnily enough, the song went onto become a chart success on both sides of the Atlantic and was written by Mark Anthony, real name Tony Hatch - the same bugger that gave us such joys as the ancient TV series Crossroads theme. "Shudder".